The largest parks and recreation trade show in Pennsylvania! 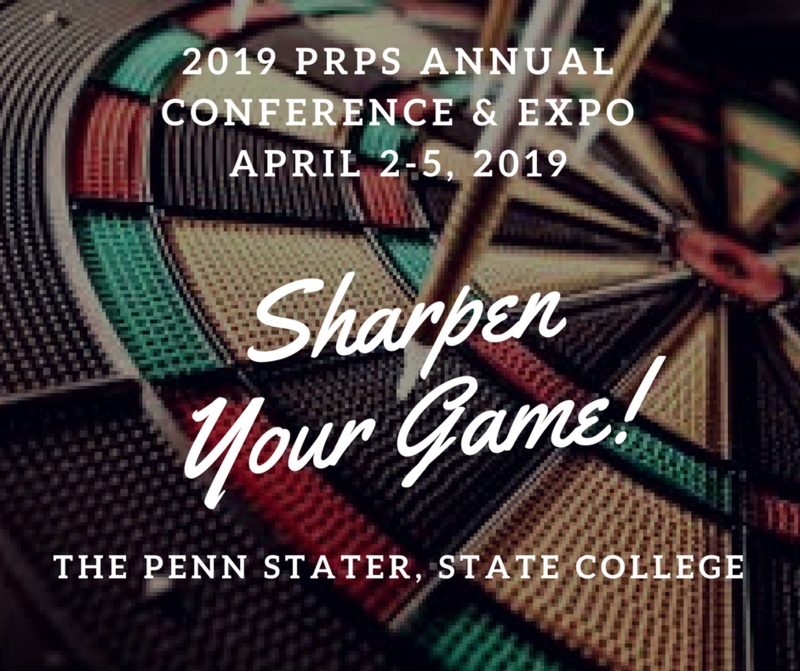 The annual PRPS Conference & Expo gathers 400+ attendees and provides an opportunity to showcase products, services, technology applications, and design solutions. The Expo provides a variety of booth options including Super Prime, Prime, and Standard. In addition, there are two exclusive Private Event Spaces and indoor and outdoor Auxiliary Equipment Spaces. Non-profit booths are also available. The PRPS online portal displays all available booths. Booths are self-assigned as companies make their selection(s); it’s a first-come, first-served process. Payment must be made in full via credit card. If you need to pay by check contact Emily Gates at 814-234-4272. When PRPS receives notice of your payment and booth selection, you’ll be contacted for additional registration information. The booth is considered secured when PRPS receives payment. 50% Super Prime, Prime and Standard booth discounts are available via sponsorship! Interested in these special discounts and other exclusive benefits? Contact Emily Gates at egates@prps.org or 814-234-4272 before reserving your booth. In addition, to the marketing benefits provided via sponsorship, the Conference & Expo has a variety of stand-alone print and digital advertising opportunities, including Mobile Event App Banner Advertisements (4/2/19-4/5/19), Digital Billboard Advertisements (4/3/19), Projected Billboard Advertisements (4/3/19), and Program Guide Advertisements (4/2/19-4/5/19). These opportunities are listed before the booth options below, to purchase, simply add them to your cart before you "Proceed to Checkout." Every Commercial Booth purchase includes two exhibit representatives. If you would like to send another representative to the Expo and receive all the same benefits as the other booth representatives (1 Tailgate Reception & Dinner ticket, 1 Exhibitor Appreciation Luncheon ticket, refreshment breaks, admission to educational sessions), you can purchase an Additional Exhibit Representative Package. In its 5th year of use, the Conference & Expo Mobile Event App is used by 95% of conference attendees to locate booths, find sessions, learn about speakers, and virtually network with other attendees. App Banner advertisements will rotate at the top of users' screens, quickly getting your name and product viewed by attendees. Multiple opportunities available. The Digital Billboards—flat screen monitors—can be set up anywhere at the Conference & Expo to digitally display your products and services. Advertisements can be scrolling or still images. Digital Billboard opportunities are limited and therefore first-come, first-served. The Projection Advertising available in Dean's Hall will quickly capture the attention of attendees. Its element of surprise will make your message more memorable while driving attendees to your exhibit booth. Digital Projection Advertising opportunities are limited and therefore first-come, first-served. Every Non-profit Booth purchase includes one exhibit representative. If you would like to send another representative to the Expo and receive all the same benefits as the other booth representative (1 Society Luncheon ticket, refreshment breaks, admission to educational sessions), you can purchase an Additional Exhibit Representative Package.